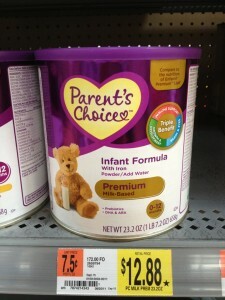 Parent's Choice Infant Formula only $7.88 w/ Coupon! You can get a great deal on Paren't Choice brand infant formula at Walmart with this new coupon! It's been a LONG time since I used formula, but I'm sure this is still a great price! You can find this coupon under zip code 77380, under Baby.